For this comparison, we’ll be taking a look at Saatva and DreamCloud, two of the most popular brands on the market. Known for its traditional innerspring design, Saatva first leapt onto the scene in 2011, and has been shaking things up ever since. 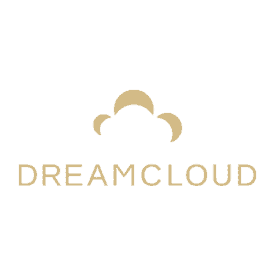 DreamCloud, on the other hand, didn’t make its debut until seven years later, when it challenged the former with its promise of providing a luxury feel at a value price. 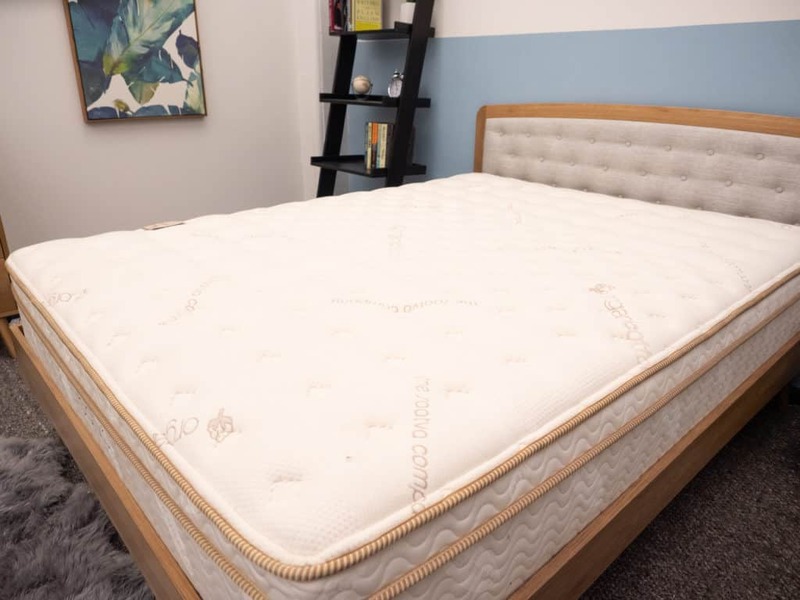 Continue reading below for our full Saatva vs. DreamCloud mattress review or click here to skip to the review summary for the quick version if you’re in a rush. Before we jump into our mattress face-off, let’s take some time to discuss some of the things they have in common. Pocketed Coils – As I mentioned above, both mattresses combine foam and coil layers to provide sleepers with pleasant bounce and comfortable support. Saatva is a traditional innerspring mattress with individually-wrapped coils to prevent you from feeling “stuck” in the bed and the DreamCloud is a hybrid mattress layered with softer foams over pocketed coils. Pillow Top Feel – Saatva and DreamCloud include pillow tops that provide an initially comfortable feel. Where Saatva achieves features quilted foam in its Euro-style pillow top, the DreamCloud layers a cashmere and polyester blend cover over three layers of foam to get its luxurious vibe. Bounce – Both the Saatva and DreamCloud mattresses are incredibly bouncy beds, though in slightly different ways. The former attains its buoyant lift from a coil-on-coil construction while the latter sticks to just one layer of pocketed coils. Later on in this comparison, I’ll dive into how these distinct coil constructions make for different kinds of bounce. Now that we’ve walked through the mattress’ similarities, let’s chat about what makes both beds unique. 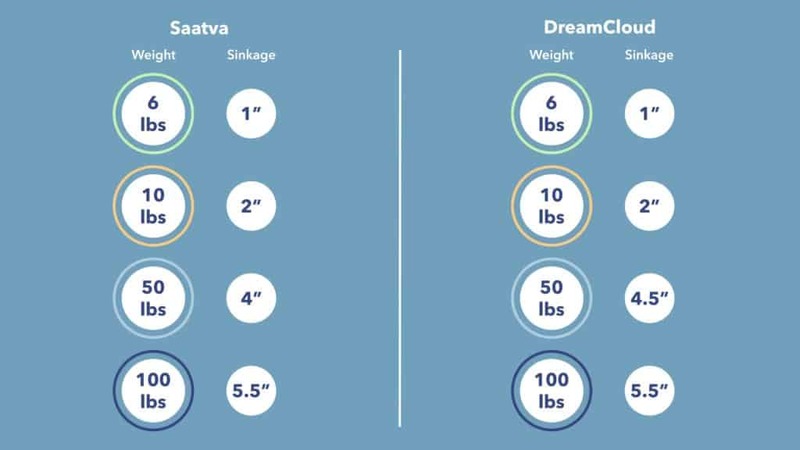 I’m going to walk you through a brief synopsis of each bed’s specific build below, but would encourage you to also check out our full reviews of the Saatva and DreamCloud. Cover – The cover of the Saatva is made of a soft and breathable organic cotton material. Quilted polyfoam sits directly beneath it providing some immediate comfort. Foam Layer – Underneath the cover you’ll find a Euro-style pillow top made of soft foam. 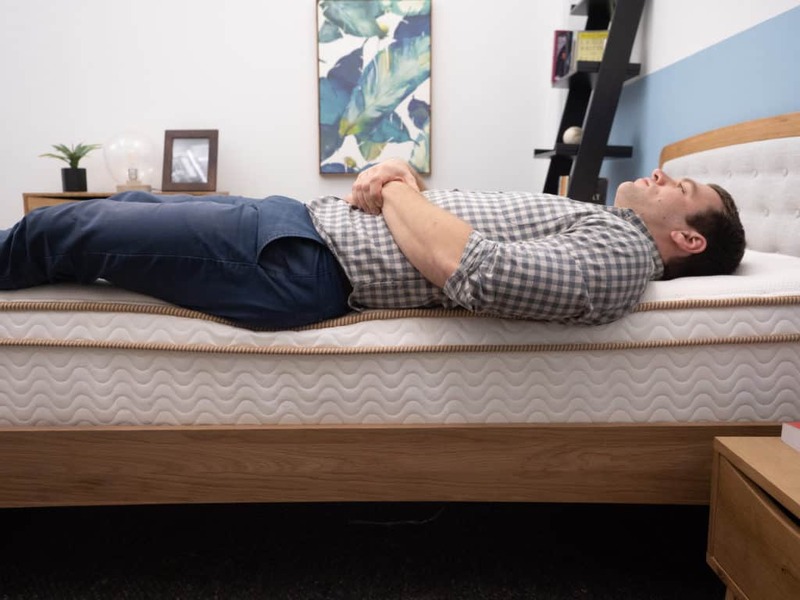 The material has a convoluted design, which promotes airflow throughout the mattress and also provides some great support to the lumbar region. Additionally, it helps to transition the sleeper into the firmer coils below. 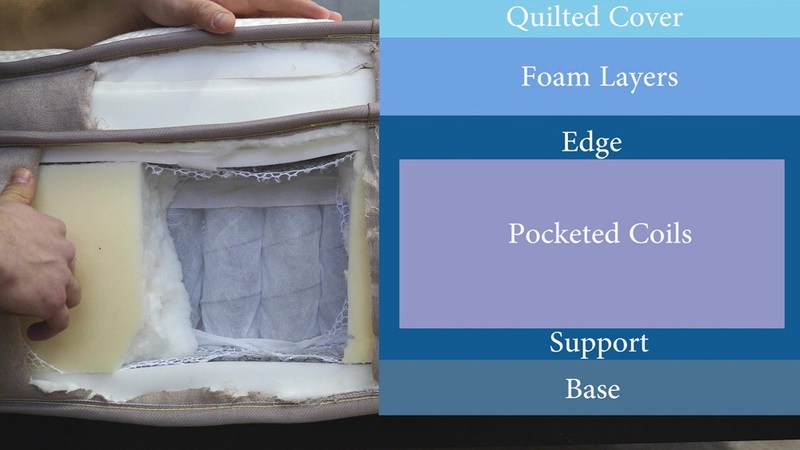 Individually Wrapped Coil Layer – Up next, you’ll find a layer of individually-wrapped coils, which work to both support and encourage bounce in the mattress. This section is what gives Saatva its “innerspring” feel over that of the DreamCloud, as the coil-on-coil construction here has a firmer, more traditional vibe. Support Layer – This mattress features a second coil layer in order to increase the bed’s bounce and cooling support. It’s 7” height creates an abundance of space in the mattress, improving airflow for temperature regulation throughout the night. Base and Edge Support Layers – Saatva’s base layer is made of a high-density poly foam that wraps around the coil layer to offer maximum edge support. The polyfoam keeps the structure in shape when pressure is applied to the sides of the bed. Cover – The bed’s quilted memory foam cover is made from a luxuriously soft blend of cashmere and polyester, providing sleepers with some immediate comfort and relief. Foam Layers – Three thin layers of foam sit beneath the cover. These layers offer some satisfying sinkage, but their collective quick response to pressure makes it easy to change positions. I should point out that the second layer here is made of a perforated latex foam, included to encourage breathability throughout the structure. 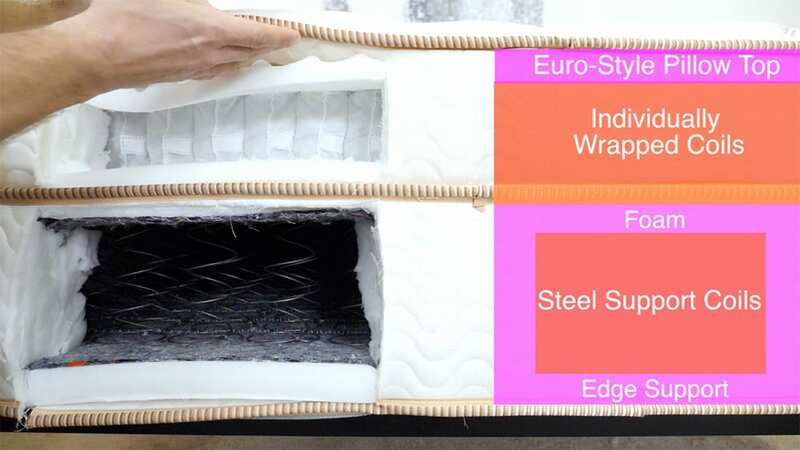 Pocketed Coil Layer – This layer is made up of a pocketed coil system and serves as the main support section of the mattress. The spaces between the individually wrapped coils allow air to move freely throughout the structure and they also work to give the bed its lively bounce. Foundation Layer – This foundational layer is made up of high-density polyfoam, which functions to cradle the pocketed coils and give the bed some stability. Comfort – The differing comfort layers in the Saatva and DreamCloud mattresses set each apart and establish their distinctive feels. The egg-crate design in the Saatva provides immediate pressure relief to the lumbar region, which is great for strict back sleepers. In comparison to this convoluted foam layer, the DreamCloud uses three layers of foam to provide a body-contouring effect. Side sleepers will especially benefit from this comfort layer since it works to alleviate pressure points at the hips and shoulders. Support – While the pocketed coil systems in both beds make them incredibly buoyant, the actual amount of bounce differs significantly between them. Where the Saatva enjoys a lively lift from its coil-on-coil system, the DreamCloud tampers this bounce somewhat with its top layers of gentle foam and single section of coils. That being said, both mattresses are likely to keep sleepers positioned more “on top” of their structures than “in” them, which could be great news for combo sleepers. While these differing designs tell us a lot about these two beds, I think it’s about time we got into how these builds influence their separate feels. Now that you know what’s in each mattress, let’s talk about how the materials work together to create their respective feels. While feel is always going to be a personal thing, I’m going to do my best to demonstrate how each bed’s characteristics contribute to its overall vibe. 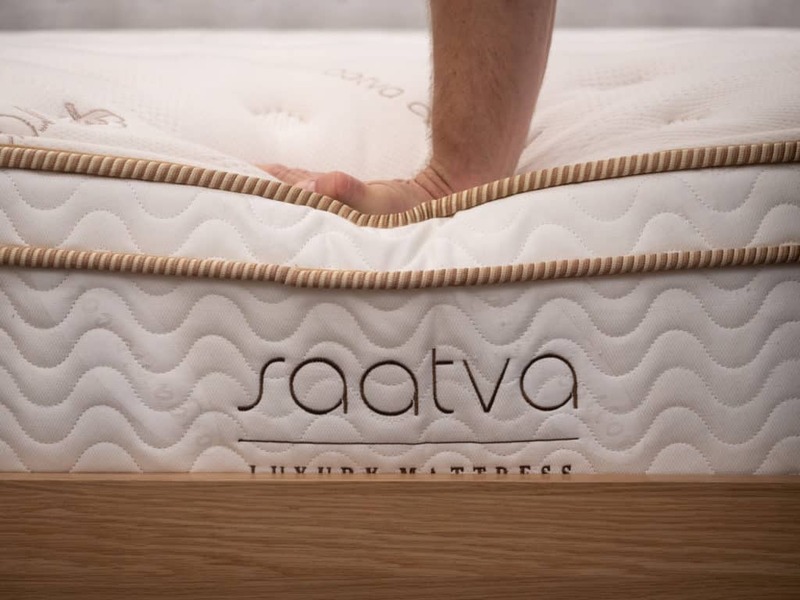 Let me start by mentioning that the Saatva mattress comes in three different levels: Plush Soft (soft, ideal for combo sleepers), Luxury Firm (medium feel, great for side sleepers seeking pressure relief), and Firm (the firmest and most effective for aligning the spine). For the sake of this comparison, I’ll be looking at the Luxury Firm mattress, which combines the best of both the softer and firmer versions. Since everyone experiences the firmness of a mattress differently (because of size and weight distribution), I decided to bring in three more testers to try out each of these beds. Below is the graph showing the average firmness rating for each of the mattresses. Let’s start with the Saatva, a mattress that comes in three comfort levels and six different sizes to appeal to a wide range of sleeping styles. I personally gave this bed a 7/10, putting it above the the industry standard of 6.5 for medium firmness. When I lightly pressed my hand into the mattress, the plush Euro-style pillow top felt comfortably plush. In spite of this initial softness, once I began to pull my hand away, I could feel the bed pushing back against my pressure. What this tells me is that the double coil construction works to produce a ton of bounce and lift in this mattress. Once I hopped onto the bed, I could feel myself sinking slightly into the quilted pillow top layer. This section, coupled with the foam-encased coils below, contoured to my body and made for some pleasant support in a variety of different positions. 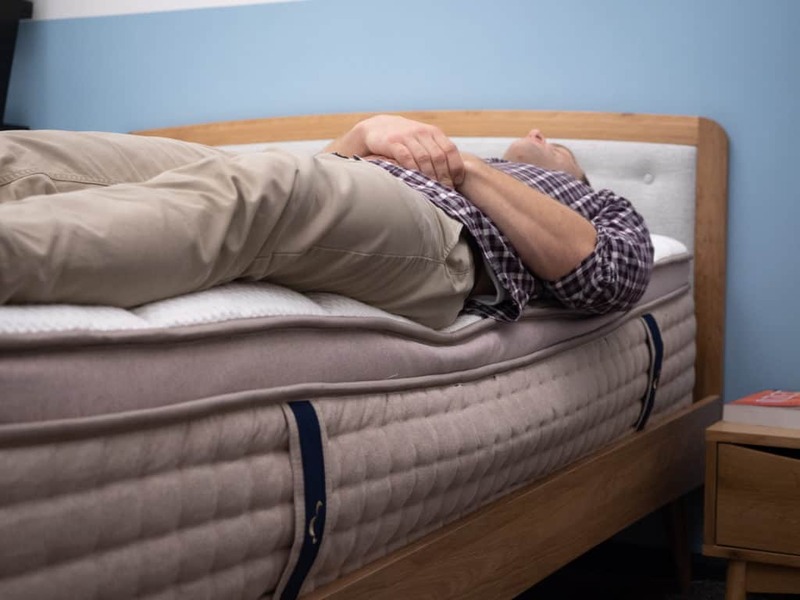 While this feel could appeal to a wide range of sleepers, I think it would be especially well-suited for combo sleepers who are looking for mattresses that hug, raise, and support them as they shift and move through the night. Overall, I felt like the Euro-style pillow top and dual-spring layers complemented one another nicely by providing a balance of comfort and support. 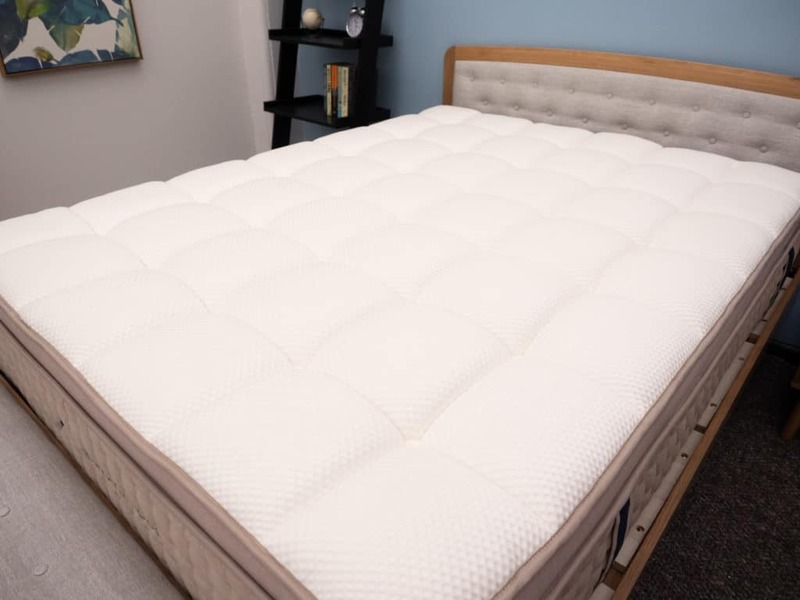 As we discussed up top, the DreamCloud is a 15″ tall mattress that combines pocketed coils with plush foams for a breathable, pressure-relieving vibe. These eight layers of premium materials come together to create a truly luxurious sleeping experience. I gave the DreamCloud a 7.5 on the firmness scale which, compared to the industry standard of 6.5 for medium firmness, makes this a pretty firm bed. When I pushed my hand into the mattress, I felt some light sinkage from the soft foam and quilted top layers. The coiled construction in the lower layer gave me a bounce-back feeling the second I removed my hand from the bed’s surface. Climbing onto the bed, the first thing I noticed was how my body sank into the plush foam layers up top. My weight was evenly distributed across the surface and I could feel the foams working to relieve pressure at my shoulders and hips. In spite of this slight contouring, the bed’s tall layers of coils lifted me on top of the bed. As I rolled onto my stomach, I was particularly pleased by how well the mattress did at keeping my hips in an even alignment with my shoulders. I found it easy to transition from one position to another when I was laying on the DreamCloud. This is an important factor to consider if you’re a combo sleeper since it may take some tossing and turning to find a position that feels good for you. In order to decide which is the best mattress for you, we’ll need to compare their varying rates of sinkage (which is basically the amount you’re likely to sink into the bed). To visualize this, I’ve placed balls of different sizes and weights (a 6 lb medicine ball, a 10 lb steel ball, a 50 lb medicine ball and a 100 lb medicine ball) on the surface of each mattress and measured how far into the structure they sank. Based on my personal experiences with these mattresses thus far, I’m not too surprised by these results as they’re quite similar. While the DreamCloud does feature slightly more sinkage than the Saatva (which I’d attribute to its soft layers of foam up top), the difference truly isn’t that notable. What this tells me is that regardless of the bed you choose, you’re likely to feel more “on top” of it than “in” it. Now let’s wrap up this section with a little motion transfer test—or basically, the amount of disturbance you’re likely to experience from one side of the bed to the other. 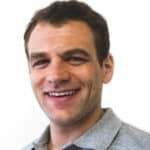 While this test will be important for all sleepers, it’ll be especially useful to those who need to know if their partner’s tossing and turning in the night is going to drive them up the wall (or in this case, out of the mattress). While both provide good mobility thanks to the coil support layers, the Saatva and it’s coil on coil structure is really bouncy. Either way, you won’t feel stuck in these mattresses when trying to change positions. With regards to how that effects motion transfer, the Saatva does transfer a bit more, steel innerspring coils tend to do so. I was impressed with the ability of the DreamCloud to isolate motion transfer and I credit that to the softer foams on top and the pocketed coil support. Now that we’ve zoomed in on both mattresses, I’m going to wrap up with my biggest takeaways. First and foremost, the unique foam and coil layers in both beds offer support and bounce to sleepers with a variety of sleeping needs. Saatva pairs a Euro-style pillow top with dual-spring layers to achieve a balance of comfort and bounce, which sets it apart from many other traditional innerspring mattresses on the market. Unlike Saatva, the DreamCloud combines three foam layers to create a luxuriously soft feel that contours to the body. 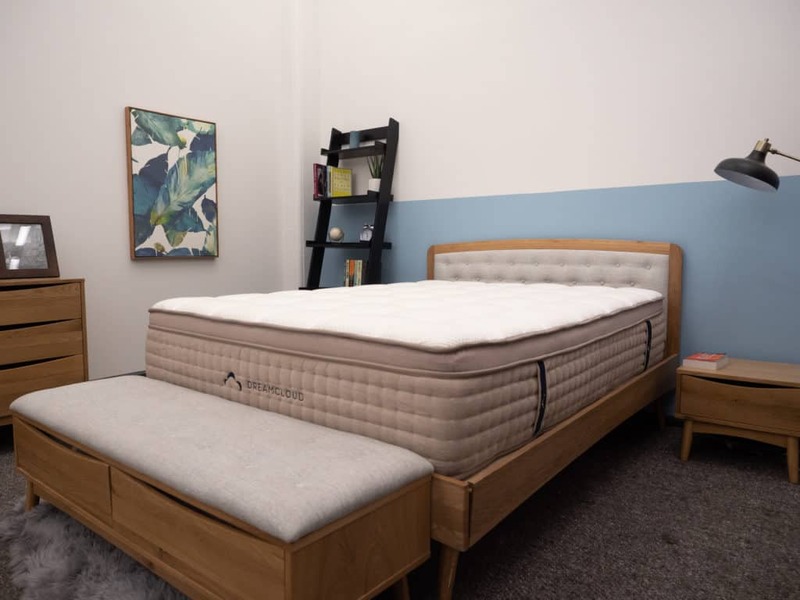 While both mattresses are supportive options for a variety of sleepers, Saatva seemed more pressure-relieving while the DreamCloud was better for shifting positions on the bed. Since these beds are so similar, choosing one over the other might just come down to price, which gives the DreamCloud a slight edge, as its Queen costs $1,099 compared to the Saatva’s $1,199. When deciding which of these fantastic mattresses to go with, there are a few factors to consider that will practically make the choice for you. And thank goodness for that because this was a close one. The first thing to figure out is what kind of sleeper you are. If you’re looking for the traditional innerspring feel, then I’d suggest testing out the Saatva mattress since its buoyancy makes it easy to move around on. 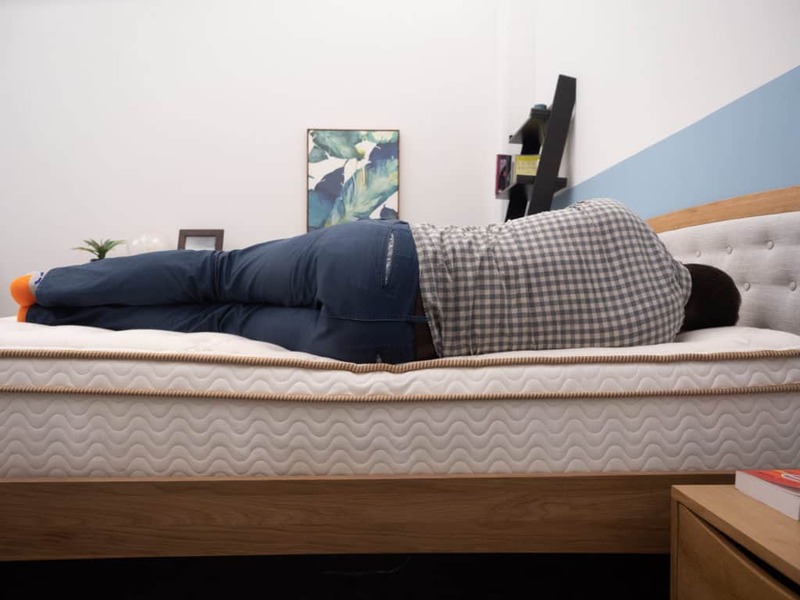 If you sleep on your back or stomach or a combination of both, then your safest bet might be to go with the pressure-relieving DreamCloud mattress. The second comes down to bounce. If you’re specifically looking for a bounce that’ll lift you up and out of bed, then the dual-spring Saatva is the way to go. However, if you’re stuck between wanting cushiony support and the traditional innerspring feel, then the hybrid DreamCloud could be great for you! And finally, let’s talk about price. Between the two, the Saatva is a bit more expensive than the DreamCloud, which could be a big selling point for those of you looking for a value buy. If you’re looking for a classic innerspring feel, the Saatva could be a great pick for you. If it’s all about that bounce for you, then Saatva’s dual-spring coils could have you jumping for joy. If you’re a back or stomach sleeper, then you’ll want to lean into the DreamCloud for its cloudlike support and its ability to lift and align your spine. If you’re looking for a bed in a box but are worried the all foam options just won’t do it for you, the coils of the DreamCloud do a great job of supporting the sleeper. Well that does it for this Saatva vs. DreamCloud comparison! If you have any more questions or comments, please feel free to leave a message on the video.